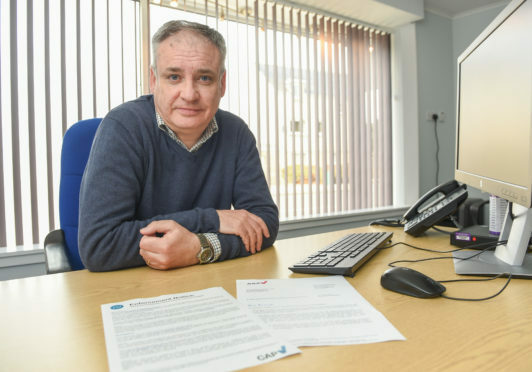 Richard Lochhead has been attempting to tackle online retailers who inflate delivery fees to send goods to northern Scotland. He secured cross-party support for this campaign and called on the UK Government to introduce legislation that would see the industry regulated given the massive number of online companies who apply added delivery fees for customers across rural Scotland. Now, he will meet the government’s Minister for Small Business, Consumers and Corporate Responsibility Kelly Tolhurst to talk about what can be done to combat this. Mr Lochhead welcomed the news and believes it is about time the government acted to stop households in the north of Scotland being ripped off. He said: “The cases brought to me by my constituents in Moray led to what became a national campaign to tackle those online retailers that apply rip off parcel delivery surcharges – costing our rural communities across Scotland an extra £36million a year. “I have also referred over 200 online companies to the authorities that have misled customers by promising free UK mainland delivery only to surcharge Scottish customers. The meeting will take place in London next month. Mr Lochhead previously met with the boss of Britain’s advertising watchdog Advertising Standards Authority which vowed to “put a lid” on false delivery charges. Chief executive Guy Parker said he was confident of getting “on top of the problem” after the regulator acted on a flurry of complaints from consumers in the north and north-east. Mr Lochhead handed over two dossiers of evidence to the ASA, which can clamp down on firms that make misleading free delivery claims.